A couple with an affinity for Asian and contemporary themes needed a new guest bathroom for visiting family and overnight guests. With extended visits from their parents and other family members in mind, the couple wanted a design that more that one person could comfortably share. 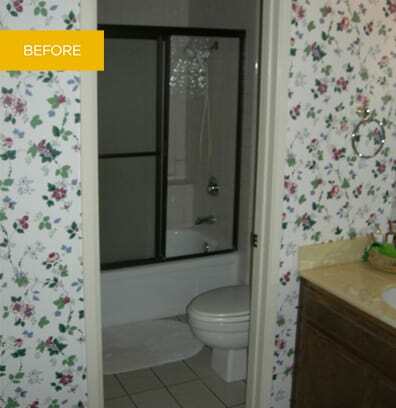 The existing bathroom was dark, dated and fussy and did little to reflect the personality of its owners. 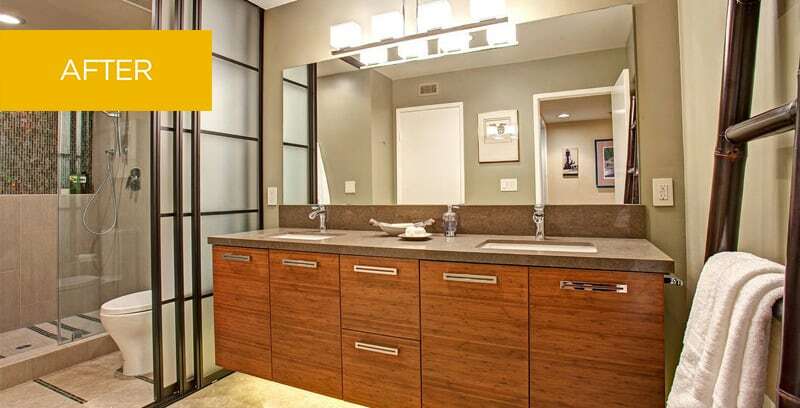 The couple wanted to express their penchant for clean, Asian-inspired design in the new guest bathroom and bring renewed energy and functionality to the space. A sense of simple, light-filled luxury was created in the guest bathroom by harmonizing tranquil colors, the visuals of flowing waterfalls, and the serenity of clean, Asian-inspired lines. An innovative Shoji screen-style door opens in three widths for varying degrees of privacy. This peaceful oasis now communicates the clients' passion for Asian themes while providing their guests with a calm, private space for relaxation and reinvigoration.